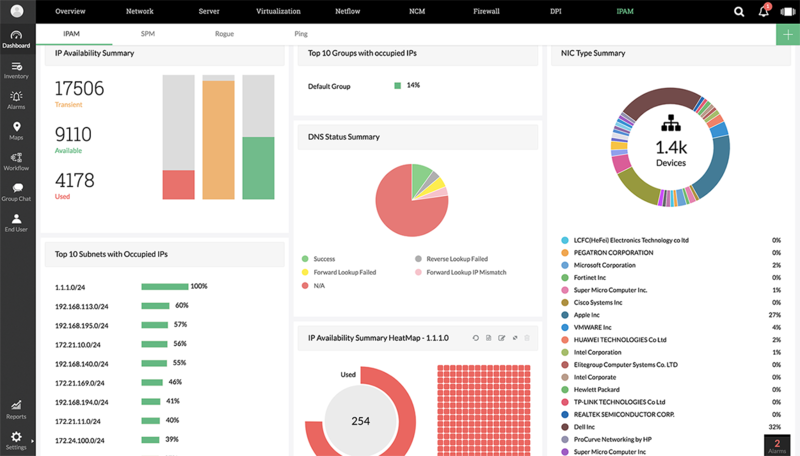 OpManager Plus is an integrated network performance management solution that eliminates the need for multiple monitoring tools and provides greater visibility across your entire network. 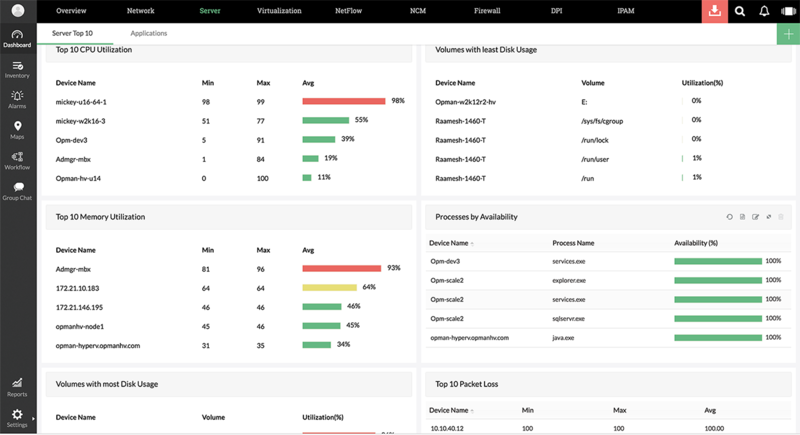 OpManager Plus is packed with advanced network management capabilities for monitoring networks, servers, IP addresses, and switch ports; managing bandwidth and network configurations; and analyzing firewall logs before archiving them. 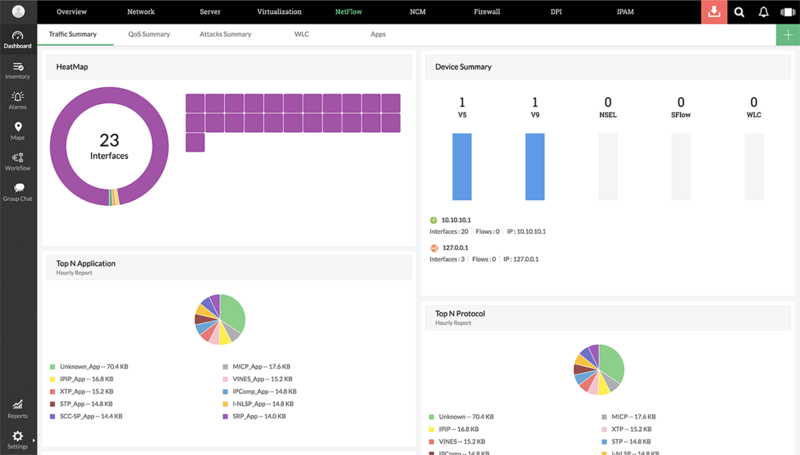 Rid your network of blind spots by deploying this powerful, integrated solution with a unified approach to network management. Monitor critical network metrics including packet loss, errors, and discards. Monitor the health of device hardware. Monitor the quality of WAN and VoIP links. Send alerts based on set thresholds. Forward, receive, and monitor syslogs and traps. Monitors CPU, memory, and disk utilization. Monitors Exchange servers, application servers, and Active Directory. Monitors Windows services and processes. Assists in resource allocation and capacity planning. Comes with over 100 server reports. 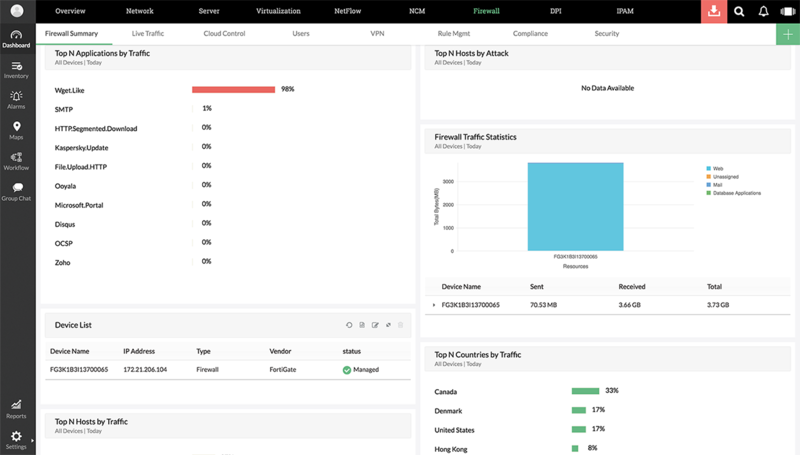 Identify traffic consumption by application, IP address, or interface. Discover the root cause of a network bandwidth issue. Get threshold-based alerts when bandwidth consumption exceeds a preset limit. Shape traffic by reconfiguring policies. Configuration management support for multiple hardware vendors. 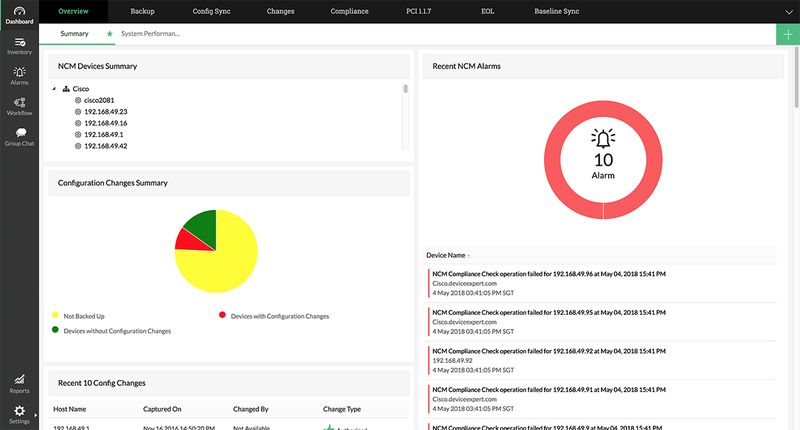 Baseline configuration for device change management. Database backup and disaster recovery. Gain information on possible network attacks and security breaches. Improve security through extensive log analysis. Monitor your VPN and proxy server in real time. Manage firewall policies to obtain optimal performance. Identifying available and used IP addresses in IPv4 and IPv6 subnets. 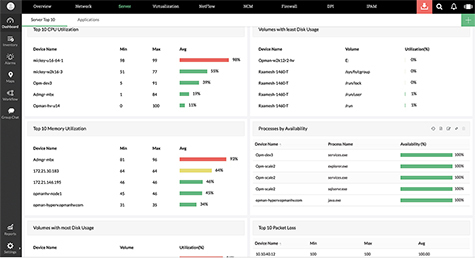 Gaining visibility into each switch port's IP, MAC, VLAN, status, and availability. Managing Windows DHCP server scopes. Monitoring SNMP-based networks and traffic. Monitor web servers, services, and databases. Perform code-level diagnostics for Java, .NET, and Ruby applications. Monitor middleware and messaging components. 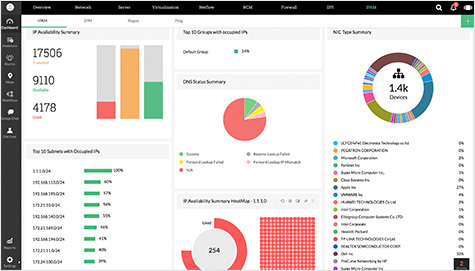 Monitor your cloud, container, and hybrid IT infrastructure.